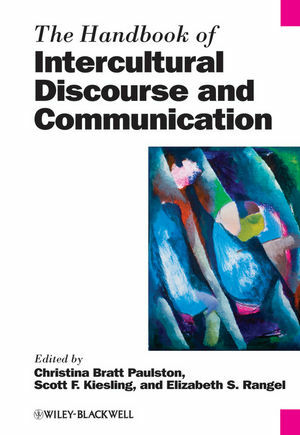 The Handbook of Intercultural Discourse and Communication brings together internationally-renowned scholars from a range of fields to survey the theoretical perspectives and applied work, including example analyses, in this burgeoning area of linguistics. Scott F. Kiesling is Associate Professor of Linguistics at the University of Pittsburgh. His work includes areas such as language and masculinities, sociolinguistic variation, discourse analysis, ethnicity in Australian English, and Pittsburgh English. His publications include Linguistic Variation and Change (2011) and Intercultural Discourse and Communication: The Essential Readings (Wiley-Blackwell 2005, co-edited with Christina Bratt Paulston). He is probably best known for his article “Dude” (2004), which appeared in the journal American Speech. Christina Bratt Paulston is Professor Emerita of Linguistics at the University of Pittsburgh. She served as chair of the department from 1974 to 1989 and as director of the English Language Institute from 1969 to 1998. Her numerous publications include Intercultural Discourse and Communication: The Essential Readings (Wiley-Blackwell 2005, co-edited with Scott F. Kiesling), Sociolinguistics: The Essential Readings (Blackwell 2003, co-edited with G. Richard Tucker), and Sociolinguistic Perspectives on Bilingual Education (1992). Elizabeth S. Rangel is the Research Associate at Learning Research and Development Center (LRDC), a Cognitive Science Research Institute at the University of Pittsburgh. Her research on early elementary language learners has focused on native language phonological interference in the reading acquisition process. Her most recent publications include chapters in the third edition of the International Encyclopedia of Education (2010), and Innovative Learning Environments from the Organization for Economic Co-Operation and Development (2010).